Want to see Hilton Head Island from a different angle? If you are adventurous and feel the call of the wild, try renting a powerboat or pontoon and be your own captain for a day at sea. With miles of picturesque waterways the Island offers many different vistas from the water. Being out on the boat is an awesome experience. You can travel around Hilton Head; sunbathe and take a refreshing dip; go fishing or cross-over to Daufuskie Island or watch a sunset. Taking a boat out captained by you is an easy, relaxing way for a self-guided tour for the whole family or a group of friends. 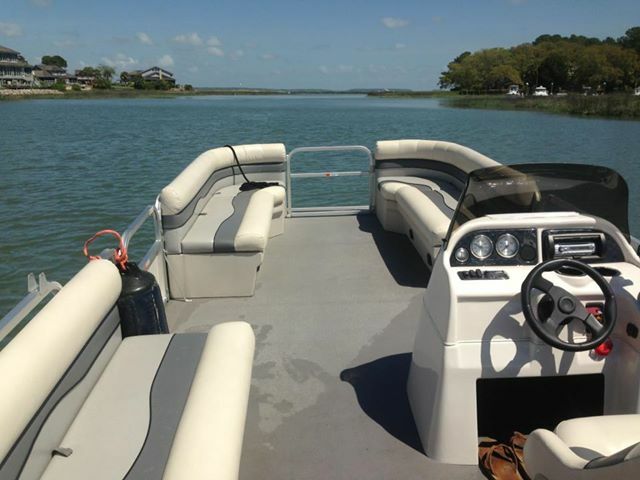 A boat excursion is a great way to get away from it all and have a little adventure on your Hilton Head Vacation. 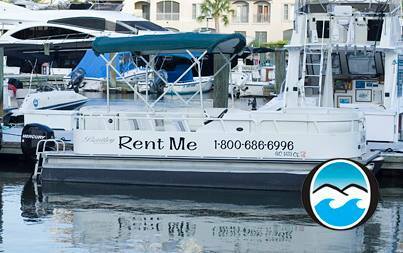 Boat rentals are available year around and can be rented for two, four or eight hours. All boats are USCG-approved and range from 16-foot run-abouts that seat six people to 24-foot pontoon boats that seat 14. Most boats are canopied and come equipped with all safety equipment as well as depth finders, coolers, GPS systems, VHF radios, and even stereos. No experience is necessary and all companies provide instructions and maps for you to follow. However, you must have a valid driver’s license, signed documents, and put a security deposit against damages on a credit card. Some companies require that you pay for your own gasoline, which is available at the marinas. Be sure to check with our Preferred Guest Discount Partners for special Beach Properties Guest pricing and discounts on your rental! Check out Le Cookery in the Village at Wexford! — Book Signing and Kids Fashion Show at J Banks!